Tax receipts rose 7.1pc to €843m in the first quarter from a year earlier, helping the Government to a smaller budget deficit than forecast, despite a more than 6pc rise in gross voted spending. The Exchequer Deficit came in at €966m, some €149m better than a year earlier and €411m smaller than forecast. “All tax heads are performing well, reflecting the economy which is growing on a broad and sustainable basis. 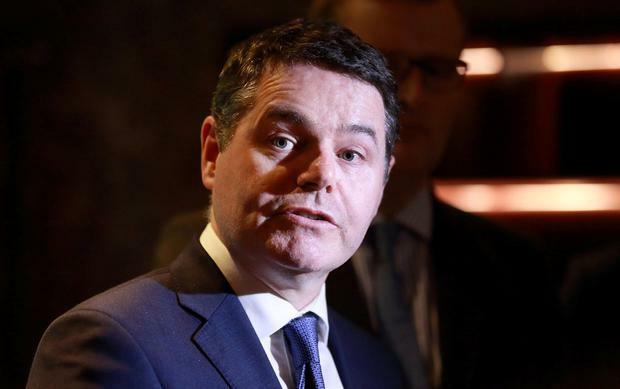 “Expenditure is being managed within expectations and is up in year-on-year terms,” said Finance Minister Paschal Donohoe. There was a one-off boost to the Exchequer from capital receipts which hit €1.2bn at the end of March, up from €958m at the same point in 2018. The surge was thanks to an expected receipt from IBRC, the Department of Finance said yesterday. A buoyant economy helped boost revenues, with Vat receipts 5.3pc more than forecast in March at €2.1bn and at €4.98bn for the year to date, coming in below profile by just €22m. Receipts have grown year-on-year by €310m or 6.6pc. Income taxes gained as well and stood at €1.5bn in March while the quarter was below target after a weak February, at €4.97bn. Corporation tax receipts, which have soared in recent years, were down 1.6pc on last year but more than 100pc ahead of target. The gains in the tax side more than covered hefty spending increases by the Government. Gross voted expenditure to the end of March was up 6.6pc at €15bn from the first quarter of last year as current spending rose 6.2pc to €14.17bn and capital spending rose 13.7pc from a year ago to €872m. Health spending was 9pc higher. Mr Donohoe delivered a small budget surplus in 2018, the first since before the financial crisis hit, thanks to hefty company tax payments which more than offset a surge in planned spending and a hundreds of millions of euro in unbudgeted health spending. The minister’s budget for this year was sharply criticised by the Irish Fiscal Advisory Council (IFAC), an independent statutory body, for its failure to control spending. Separately, new jobs figures published yesterday show Ireland is close to full employment as the number of people out of work fell by over 6,000 in the last year. The employment rate stood at 5.4pc last month – down from 5.6pc in February. A Central Bank spokesperson said it is beginning to see evidence of accelerating wages, increased job switching and higher vacancies. “This suggests that at current rates of unemployment, we are close to full employment in Ireland,” they said. There were 131,300 people out of work, down from 134,700 the previous month. Youth unemployment among those aged 15-24 stands at 13.4pc.